The University of West Florida Argonauts Women’s Soccer ID Camp is both an overnight and commuter that will run from the 21st of July until the 22nd of July. It is inviting all girls in grade through grade 12 who desire to become a college soccer student-athlete. This soccer identification camp is going to take place at the University of West Florida Varsity Soccer Field. In addition, this program aims at fine-tuning the player’s technical and tactical skills. It is going to replicate a real college training environment. Running the event is the University of West Florida Argonauts women’s soccer coaching staff. Overall, it will be a motivational and fun experience. The University of West Florida is a public, coeducational, space grant university in Pensacola, Florida. It is a proud member of the State University System of Florida. The university is also part of the Association to Advance Collegiate Schools of Business (AACSB) and the Commission on Collegiate Nursing Education (CCNE). It has a Southern Association of Colleges and Schools (SACS) accreditation. Furthermore, the University of West Florida accommodates around 10,100 undergraduate students and 2,900 postgraduate students. 43 percent of this undergraduate student population are male students and 57 percent are female students. This undergraduate student population is also through a selective enrollment acceptance rate of 41 percent. Correspondingly, the University of West Florida’s student to faculty ratio is 22:1. The University of West Florida is also a top-tier academic institution. As a matter of fact, it is 169th in the Engineering Programs, 2018 edition of the US News and World Reports Best Colleges rankings. The university is also 228th in the High School Counselor Rankings. Moreover, the University of West Florida fields 15 intercollegiate men’s and women’s sports teams. They are competing in the Gulf South Conference (GSC), member of the National Collegiate Athletic Association (NCAA) Division II. The athletes’ nickname is the Argonauts and their identity colors are blue and green. The head coach of the University of West Florida Argonauts women’s soccer team is Joe Bartlinski. He is now entering his 18th year at the helm of the University of West Florida Argonauts women’s soccer program. Coach Joe Bartlinski is a bachelor’s degree in history graduate from the University of North Carolina at Asheville. Ultimately, Coach Bartlinski is a seven-time National Soccer Coaches Association of America (NSCAA) South Region Coach of the Year. He is also a two-time NSCAA National Coach of the Year and a six-time GSC Coach of the Year. He is among the country’s most winningest soccer coach. In fact, he is now holding an astounding coaching win-loss record of 479-79-25. Coach Bartlinski also leads the Argonauts to four NCAA Championships appearances. Then, the University of West Florida Argonauts women’s soccer assistant coach is Dr. Daniel Correa. He is now entering his third season in the assistant coaching position for the Argonauts. Dr. Daniel Correa earned his master’s degree in Curriculum and Instruction from the University of West Florida. It also where he earned his bachelor’s degree and the doctorate degree in Curriculum and Diversity Studies. 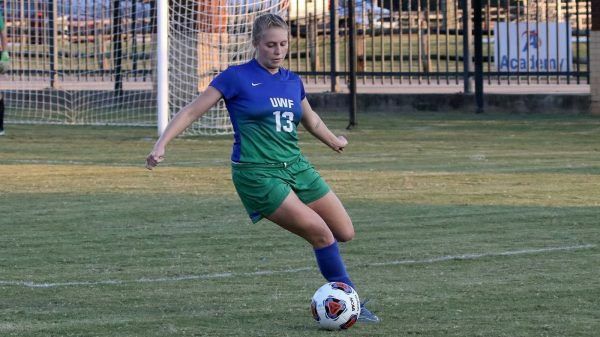 The University of West Florida Argonauts Women's Soccer ID Camp will provide the attendees a first-hand experience on how it is like to play and train at the college level. The program is designed for all high school freshmen to senior girls who are looking to become a college soccer student-athlete. Registration is on a first come first served basis.